Alexandrite | Gemstones from A-Z at Rocks & Co.
Back Home Gemstone Information Alexandrite | Gemstones from A-Z at Rocks & Co. The 'gem of the tsars', or simply, the 'tsar stone', Alexandrite is a gemstone forever linked to the ruler for whom it was named, Tsar Alexander II of Russia (1818-1881), the country he ruled and the twilight of Russian aristocracy. The most desired member of the Chrysoberyl family, Alexandrite is defined by colour change. Alexandrite is pleochroic, or getting more technical, trichroic (three-coloured). This means each Alexandrite crystal has three colours, green, red and yellow, whose intensity changes when it is viewed from different angles and under different light sources. 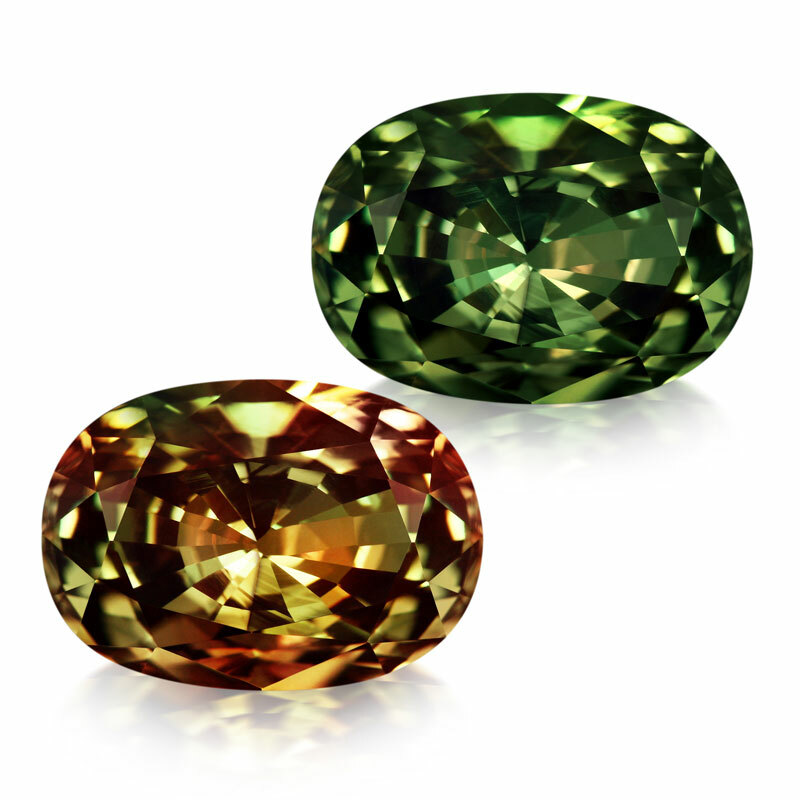 Sunlight contains a greater quantity of the green preferred by our eyes, making Alexandrite appear green in candescent light, while its color shifts towards red in incandescent light, which contains more red. 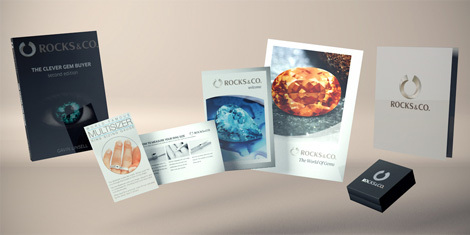 The single biggest value consideration of Alexandrite is its colour change. Any colour change gem is judged by the strength of its change, and how attractive and distinct its colours are in both candescent and incandescent light. 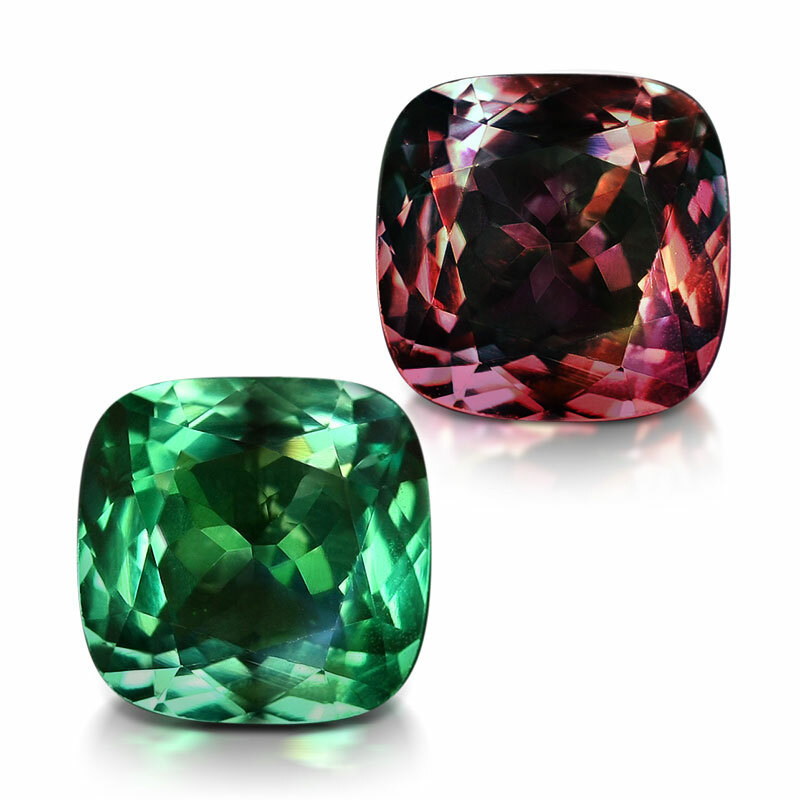 The ‘ideal’ Alexandrite will display distinct medium toned intense colours in both light sources, with the pure daylight greens to night time reds valued highest. Seeing it change colour is dependant on several factors, including the intensity and purity of the two light sources, your eyesight, pleochroism, time of day, and even the weather. The concept of ‘bleed’ is when a colour change gem’s two colours are visible at the same time. Alexandrite gems that show too much bleed are less valuable as their colour change is diminished. Alexandrite is classed as a Type II gemstone meaning there will be visible inclusions, particularly when over 1 carat. More inclusions often accentuate the colour change. Because of its intrinsic scarcity, Alexandrite is rare and expensive in any size. The most common shapes are cushions, octagons, ovals and rounds. 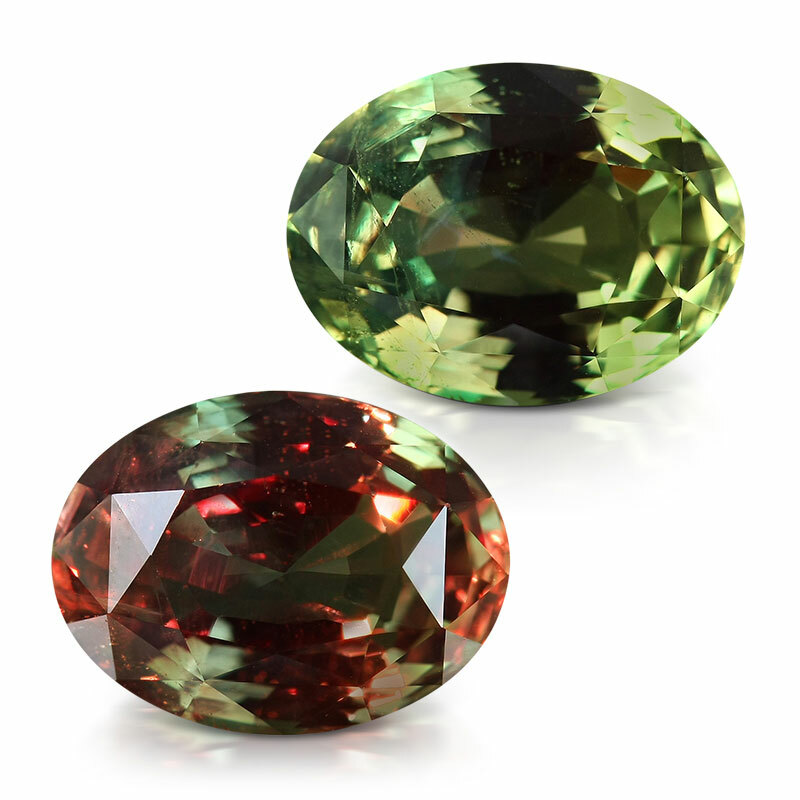 Russia and Sri Lanka were the only known sources of Alexandrite for approximately 90 years, despite the fact that no significant Russian Alexandrite was recorded since the 1917 Russian revolution. India is currently the most significant producer, but it is also currently found in Brazil, Burma, Madagascar, Mozambique, Sri Lanka, Tanzania and Zimbabwe have all produced small quantities of marketable Alexandrite.